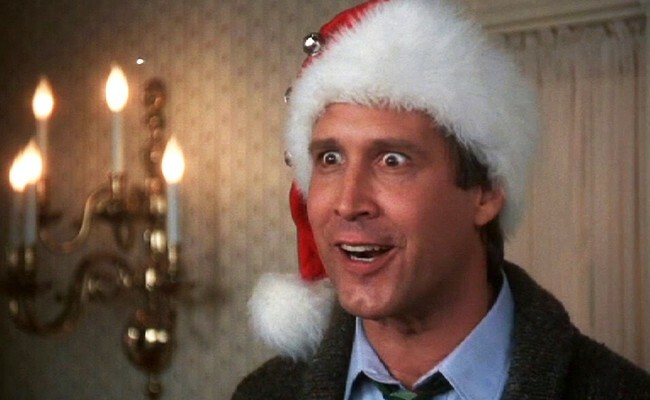 WriteOnFightOn Other Surviving Christmas: Lessons from Clark W. Griswold Jr. Surviving Christmas: Lessons from Clark W. Griswold Jr.
Hosting Christmas is often a cinnamon-baked decathlon of stress and anxiety. There’s a million things to do. After work you grind through traffic to Target, park miles away, hustle across a frozen parking lot only to stop at the closest shopping cart corral to catch your breath and promise to stop eating so many cookies. You funnel through the electric doors with the rest of the huffers and puffers. You elbow your way through the aisles fighting, searching for a set of holiday hot plates which of course–they don’t have. When you get home you microwave some chicken and spend the night cramming Christmas cards into envelopes that were apparently meant for smaller Christmas cards. Your weekends are spent bustling about the house hanging new picture frames, vacuuming between couch cushions, cleaning out closets and replacing those burned out hallway light bulbs you meant to change in November. You think about alcohol but you have eaten breakfast yet. You bark at your dog, your kids, your spouse. You complain about the weather, the traffic, the cost of cheese and that your cousin from Tulsa hasn’t responded to your Christmas dinner Evite. And as you stand at your kitchen sink in your bathrobe, eating another Christmas tree-shaped sugar cookie you can’t remember the last time you didn’t have a headache. But alas my merry-less friend, there is hope this holiday season. In this dizzying stretch of Pollyannas, secret Santas and ugly sweaters Hollywood (of all recent places) has provided us a savoir. A savoir who hails from the sprawling suburbs of Chicago. A savoir who, in 1989, was rumored to be a finalist for the Food Additive Designer of the Year. But as holidays often go — whatever can go wrong, does go wrong for Clark — pushing him to the brink of insanity and striking a chord with anyone who has ever hosted the holidays. 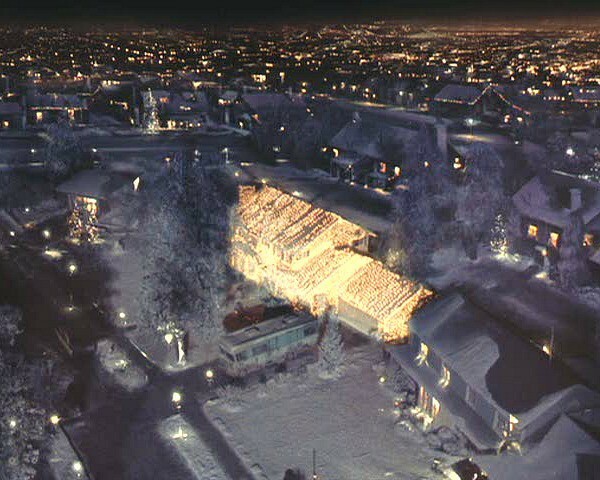 However at the end of the movie, after a SWAT team destroys his house, the big-hearted Clark stands shining like the 25,000 white Christmas lights that adorn his house. Clark is a 10,000 watt beacon of hope who may have inadvertently taught us how to enjoy the stressful holiday season. 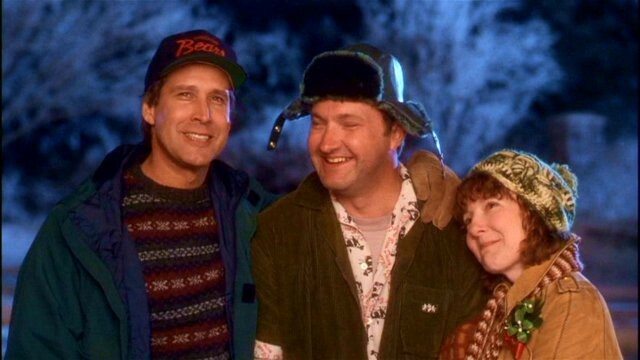 Like Clark, we all want the perfect Christmas. So we inflate our dreams. We convince ourselves that if we can buy the right gifts, get the right tree, bake the perfect fruit cake Christmas will be perfect this year. But even in Hollywood the perfect Christmas doesn’t exist. So when we set our expectations dangerously high, we only increase our stress and anxiety and prohibit our ability to enjoy Christmas. Clark’s desire to have the “best looking house on the block” represents someone trying to do too much. During the holidays we over-schedule, over-extend ourselves which consequently drains our spirit. We have to remember that it’s okay to say “no” and do less — so we have more energy to do the things that really matter. 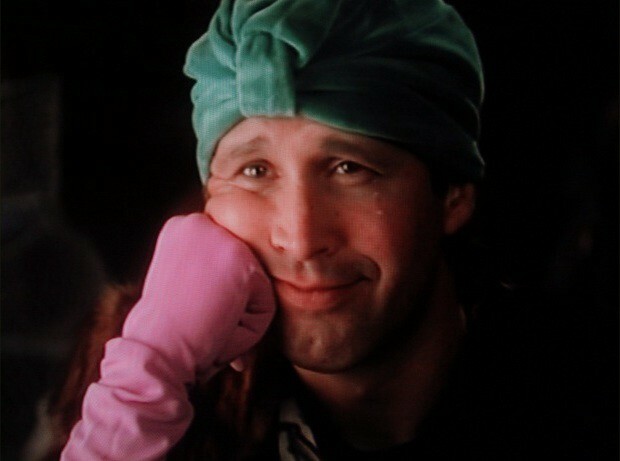 Clark puts a down payment on a swimming pool and plans to use his Christmas bonus to pay off the rest of the pool. 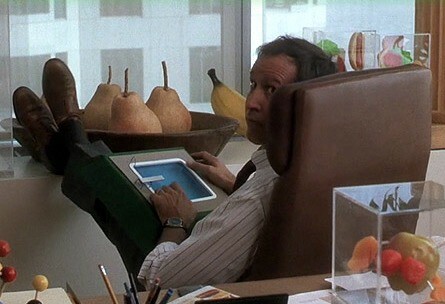 However, instead of a financial bonus his boss, Frank Shirley, enrolls Clark in the Jelly of the Month Club and jeopardizes Clark’s ability to payoff the pool. Lesson — stick to a reasonable budget this Christmas and invest in relationships and glad tidings instead of material possessions. At one point Clark is home alone and stuck in the attic. To pass the time he finds a projector and plays reels of home movies from Christmases of his youth. As adults it’s so easy to forget how much happiness the holidays once brought us and how quickly our children grow up. It’s so easy to get caught in the holiday mayhem that we forget how important the magic of Christmas is to our children. 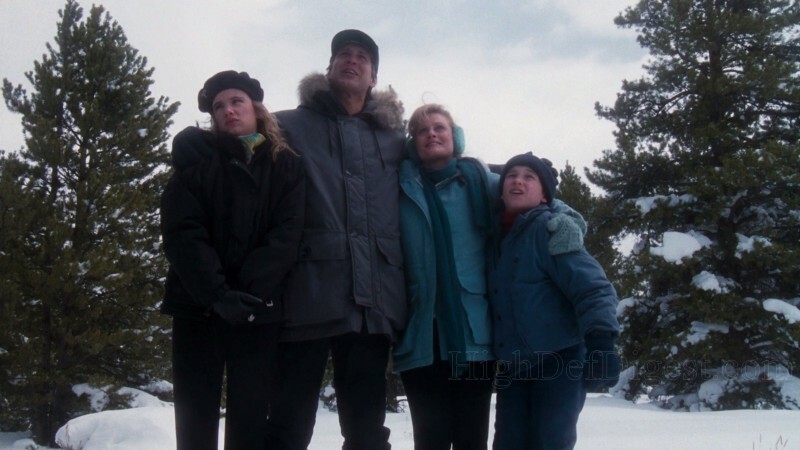 In the opening scene Clark leads his family through the woods that is packed with knee-high snow to pick out the perfect Christmas tree. However, once they find the tree Clark realizes he forgot a saw. 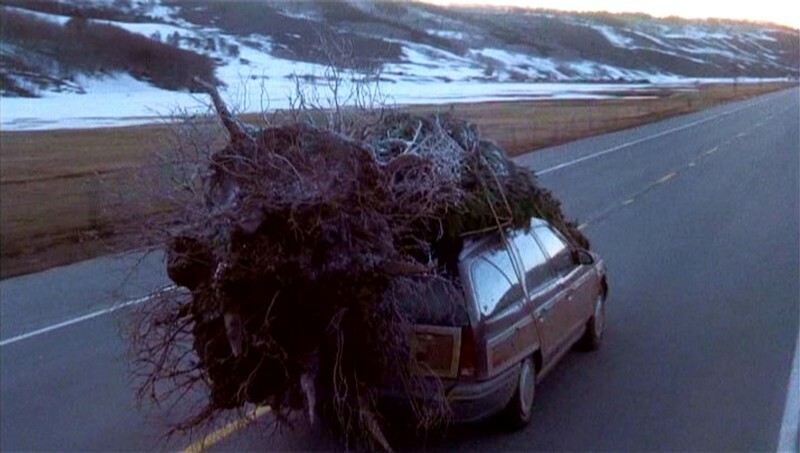 In the next scene the family is driving in their station wagon with their new Christmas tree strapped to the roof — roots and all. There’s a good chance you’re going to forget something, overlook something this holiday season. Roll with it. Don’t let not having a saw stop you from enjoying the holidays. It’s natural to look across the dinner table and wonder how you could ever share genes with these people. But the holidays are bigger and more important than you and your grips and quarrels. You can’t choose your family but you can choose your attitudes and reactions. You can choose to accept, embrace and if the situation calls for it forgive. No matter where you’re celebrating Christmas I wish you a joyous and stress-free Christmas. And hopefully you can steal some time to stretch out on the couch, finish off the last of that cookie platter and enjoy National Lampoon’s Christmas Vacation. PS–Checkout my cousin Dan’s homage to Clark and Cousin Eddie! College Essay Advice- Don't be Afraid...Take the Plunge! Help Support WoFo's Upcoming Write-a -Thon!! !